Facebook had the blockbuster IPO of 2012. Twitter was the marquee tech public offering in 2013. And Chinese e-commerce giant Alibaba raised $25 billion this year in the world's largest public offering ever. Which tech company will be the big IPO of 2015? There's certainly no shortage of contenders. CB Insights, a venture capital database, put out its annual Tech IPO Pipeline report this week which listed nearly 600 private companies that now have valuations of $100 million or more and would likely go public down the road. Several of the companies on that list actually have valuations that exceed the market caps of many public companies, including Uber ($40 billion), Airbnb ($13 billion), Snapchat (at least $10 billion) and Pinterest (about $5 billion). Twitter, by comparison, currently has a market cap of about $24 billion. Some of these companies, like Snapchat and Pinterest, are still relatively early into their monetization strategies and may not be ready to go public in the next year. Others are already well capitalized and may not have a near-term need to raise additional financing through a public offering. 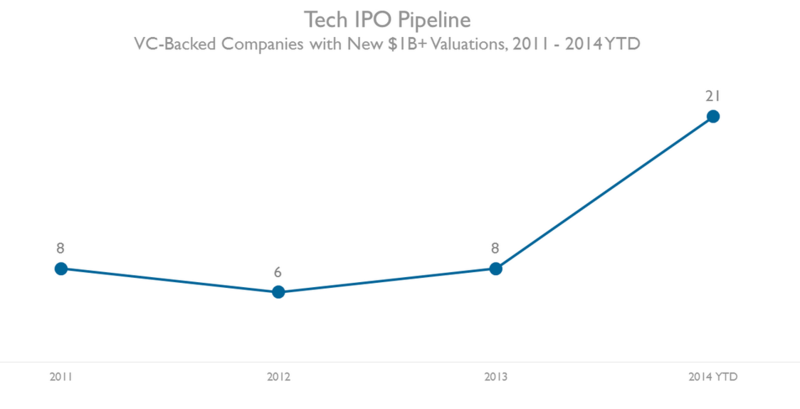 Here are a few tech companies that reportedly are considering IPOs in the coming year. For anyone interested in keeping score, I put together a similar list last year of eight tech companies that might go public. Of those, three actually did go public and one filed to go public only to push it back. The other four, not so much. This time last year, Box topped our list of tech companies that would likely have an IPO in 2014. Box did file to go public in March, but the online storage company was forced to delay its public offering amid extreme volatility in the market for tech stocks. 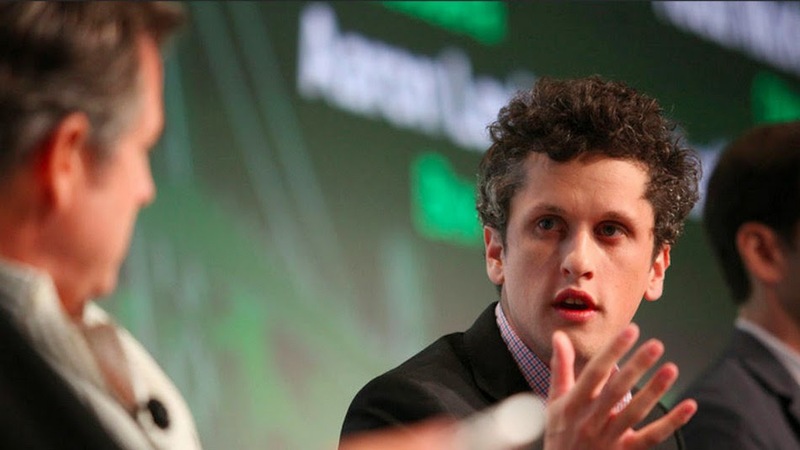 Box has since taken more of a wait-and-see approach, but is expected to go public in 2015. "It was unfortunately just too many difficult things to surmount," Aaron Levie, cofounder and CEO of Box, said in a recent interview with The Wall Street Journal, in response to a question about whether it was a mistake to file to go public earlier this year. "I think in a more stable market with clearer understanding of the trajectory, we would have had a very different kind of conversation." Vice launched as a magazine 20 years ago and has since emerged as a media giant, with a presence in print, online and on television. It recently raised $500 million at a $2.5 billion valuation. Yext, a company that makes sure Internet-based addresses for businesses are accurate, raised $50 million in Series F funding earlier this year at a valuation of about $525 million, with plans to go public in 2015. More recently Yext hired a CFO who previously helped take Pandora public in 2011. GoDaddy, the domain registration service, filed to go public back in 2006, but later scrapped those plans and got acquired. In June of this year, GoDaddy filed to go public again, with plans to raise $100 million in its offering. It pushed back the IPO amid some market troubles, but is still expected to go public sometime in 2015. According to one report, the IPO may give GoDaddy a $4.5 billion valuation. Hopefully the second time's a charm. The parent company of Net-a-porter, a luxury e-commerce service, is reportedly considering a public offering for the property as soon as this year, according to Bloomberg last month. That said, it's also possible Net-a-Porter could simply be sold off. Gilt Groupe, a similar service, has been rumored to be going public for years, yet it remains private. Even if you don't know Outbrain by name, you probably encounter it on a daily basis. The advertising company is responsible for populating articles on many, many websites with sponsored links to other content around the web. The Wall Street Journal reported last month that Outbrain had filed confidentially with the Securities and Exchange Commission for an IPO. It's not a done deal, but if Outbrain does go public, The Journal reports it could be at a valuation of around $1 billion. This was undoubtedly a big year for Asian IPOs thanks in large part to the success of Alibaba, but it could have been even bigger. Line, a Japanese messaging app with around 500 million users, reportedly filed for a $10 billion IPO over the summer, but then decided to push it backindefinitely. Perhaps 2015 will be its year.